Tripoli - Home of Sweet Marsh! Proud of a friendly downtown, the Tripoli school system and the 2,855 acre Sweet Marsh. Where community means dedicated volunteers, a tribute to veterans, five area churches and small town hospitality. Agriculture is a major economic drive & health providers offer first-class care. Many recreational opportunites contribute to a fun, safe and friendly environment. 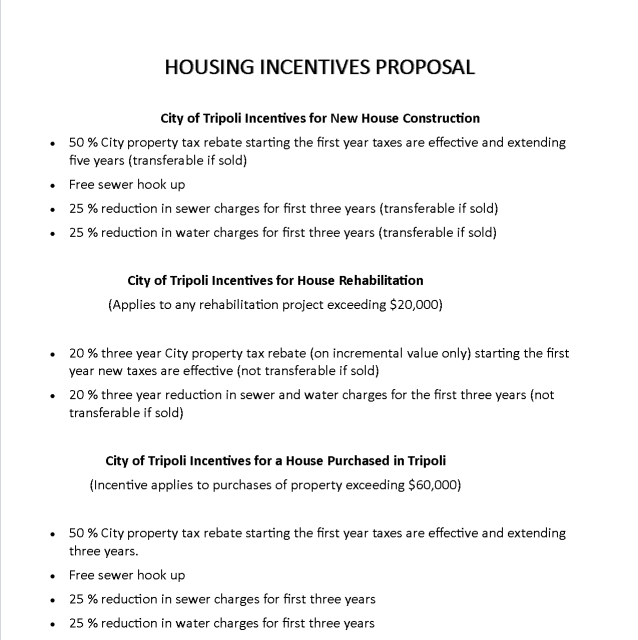 The City of Tripoli now accepts online payments for Utility Bills, Police Fines and Rental Facitilites - please visit our Pay Your Bill page on this site. If you're interested in the Water Quality Report - click HERE to read the current report. 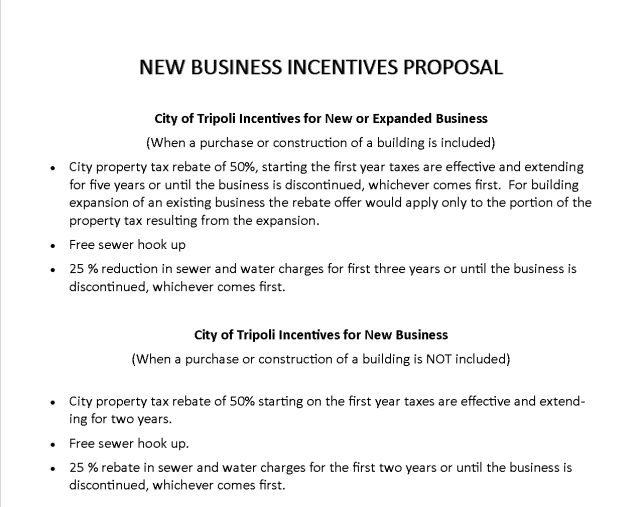 The City of Tripoli is now offering both business and housing incentives!!! Enjoy Tripoli... it's a great place to call home!